COLONSAY: A Lesser Whitethroat was seen in scrub north of Scalasaig in the evening (Darren). ISLAY: Now 2 Curlew Sandpipers from the north hide at RSPB Gruinart late on Wed 9 May – a summer male and a female or 2CY male – also big increase in Dunlin numbers (James Butcher). MID-ARGYLL: At least 6 ‘Greenland’ Wheatears around the Moine Mhor and Loch Crinan today (Jim Dickson). 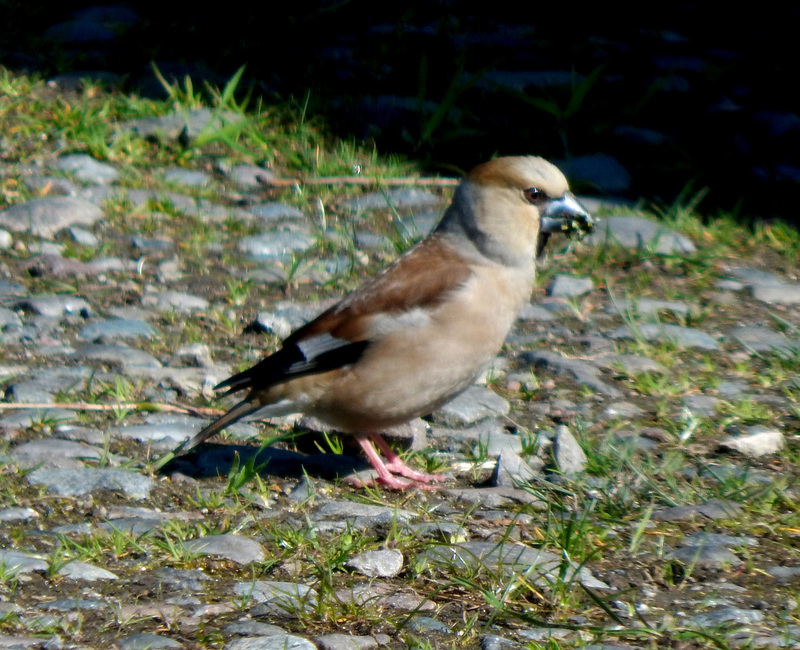 TIREE: A female Hawfinch new in the garden at Balephuil today (John Bowler). HAWFINCH – Balephuil, Tiree 10th May (John Bowler).